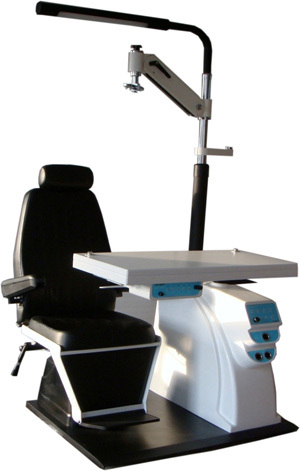 Our Ophthalmic Chair and Stand Viewlight Mozart is one of a series of products designed to meet customers expectations. This high quality unit is solidly built and easy to use and maintain. It is wear resistant and corrosion proof. The Ophthalmic Chair and Stand Viewlight Mozart is an ideal choice for ophthalmologists and opticians not only in hospitals but also in optical glass shops. Form and functionality have been integrated to create an expression of innovative design. Big Chair with 100% steel construction.